It's a bright morning in October, and Barbara Corcoran is sitting in her street-level headquarters, a converted doctor’s office on upper Park Avenue in New York City, trying to convince Jen and Jeff Martin to wear popcorn bags on their heads. 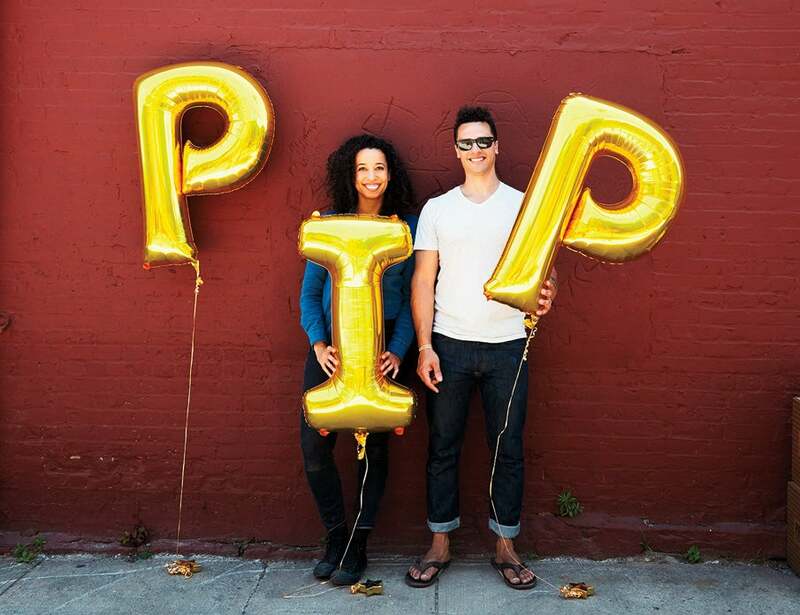 The Martins, a brother-and-sister team, are the founders of Pipsnacks, one of the fastest-growing companies in Corcoran’s portfolio. Their original product is the mini-popcorn snack Pipcorn -- crunchy, largely hull-less and sold in seven flavors, including the much-beloved truffle. The Martins launched the company six years ago and had their big breakthrough in 2014, when they appeared before Corcoran and the other sharks on the ABC prime-time reality series Shark Tank, nabbing a $200,000 investment from her in exchange for 10 percent of the company. Since then, growth has exploded. Pipcorn is now available around the country, in Whole Foods, Target and numerous other outlets. The farmer who supplies their kernels has granted them exclusive rights to his crop. They’ve begun outsourcing some of the manufacturing work to a contract packager, allowing them to ramp up production at a moment’s notice. Margins are solid at around 50 percent, and the business is steadily profitable, having grown by 2,000 percent since the company’s Shark Tank appearance. Over the course of an hour-long catch-up meeting, the Martins -- he, 32, with a Jimmy Neutron pompadour and thick-framed glasses, and she, 29, with a formidable mane of curly brown hair -- rattle off sales figures and delve into the nuances of SKUs and shelf space. They discuss the ins and outs of Costco versus ShopRite versus independent New York bodegas and delis. And they gripe about a big-time snack-food distributor that has been spotted elbowing Pipcorn bags out of sight to better showcase a crunchy rival. The Martins promise to consider the idea. It’s not hard to understand what Corcoran sees in the Martins. They’re adorable -- good-looking, youthful and effervescent. They actually like each other and function well as a team. In short, they’re as irresistible as their product. And in some sense, they are their product. That’s why Corcoran invested. Yes, she knew the Martins were overvaluing the business and that their special kernels were not proprietary. But Corcoran, who built her empire in large part on the appeal of her own colorful personality, understands something her young partners haven’t entirely grasped: Frito-Lay could start churning out mini popcorn tomorrow, but the Martin siblings themselves -- their story, their energy and their winning smiles -- are theirs alone. That is the point of differentiation. That is the thing that will help them win. Barbara Corcoran knows the power of a good story. After all, she’s still telling the one about how she was but a lowly waitress in Jersey some 45 years ago, before borrowing a grand from her then boyfriend at 23 and using it to open a real estate agency, which she then expanded to a bona fide real estate empire. Yes, she knows it’s a little trite. And she’s well aware of the ways in which her rags-to-riches origin story manages not only to oversell the importance of her inimitable Jersey girl pluck but also to soften and belittle the mix of intelligence, management acumen and ambition with which she fought her way to the top of a fiercely competitive industry. But she keeps telling it. For one simple reason: It works. If Corcoran is emphatic, it’s because she speaks from experience. Her willingness to do anything to get noticed marked her initial assault on the clubby world of Manhattan luxury real estate. Her gutsy, up-for-anything attitude, eye-catching suits and Lucille Ball-in-a-pixie-cut persona set her apart from the pinstriped glad-handers and society ladies who had long dominated the scene. As she bulldozed her way into this rarefied company, she learned to make a virtue of her humble origins (did she mention she suffered from dyslexia?) and to turn her utter lack of self-consciousness to her advantage. She dressed up in “gypsy” garb and offered tarot readings at a real estate trade show, despite not having the slightest idea how to read a tarot deck. She flooded the Upper East Side with Corcoran Group postcards featuring herself posing in a series of wacky getups (traffic cop, dog walker). And she once impressed a group of Italian developers by claiming to be a former nun. By 2001, having turned the Corcoran Group into an industry leader, a luxury listings empire with more than 850 employees, Corcoran decided to cash in her chips and focus more on her children, selling the business for $66 million. A year later, though, she got itchy. Being a homebody wasn’t cutting it. Corcoran frankly admits she loves attention, and she pursued it aggressively, jumping back into the limelight with regular appearances as a business commentator for Good Morning America and later, the Today show. In 2009, Mark Burnett tapped her to star on a new reality show, Shark Tank, and she’s been a regular ever since. Shark Tank, which has won several Emmys and has ratings that rival The Bachelor, is appealingly simple: Up-and-coming tycoons pitch their startups to a panel of angel investors, who can then choose to put up their own money for a share of the businesses or declare “I’m out,” in the show’s low-key if devastating catchphrase. One of Corcoran’s favorite management tactics when she ran her own company was to elevate two top salespeople and set them up as rivals. But she also worked hard to create a corporate culture in which her employees felt cared for. Long before tech startups started piling on the perks, Corcoran hired masseuses to dole out office back rubs. She regularly bought team members flowers, and for a while she awarded show ribbons for big sales. Her staff parties were legendary. These days, she treats her portfolio companies the same way. Each year, she takes a group of top performers on a trip -- often to one of her own properties -- during which founders swap tips and horror stories. Blowing off steam at these events is, of course, heartily encouraged. As a result, many of her entrepreneurs consider her ability to form a strong emotional connection one of her best qualities as an investor. “She calls and texts us more about our personal life, health and well-being than about the business,” marvels Sabin Lomac, co-founder of Cousins Maine Lobster (season four, episode six). Shortly after Corcoran invested $55,000 for a 15 percent stake in the company, which at the time consisted of a single food truck, she made the trip to Maine to witness the catch for herself. While offering hotel recommendations, Lomac jokingly invited her to crash at his place and Corcoran surprised him by taking him up on the offer -- with her daughter in tow. “At that point, we felt, This is not just some rich, famous investor. This is a family member,” he recalls. That may be true, but Corcoran’s contribution has gone deeper than warm fuzzies. A while back she suggested Lomac start a franchise business. He did. Revenues soared. To take Pipsnacks to the next level, the Martin siblings have decided to shake things up. So, in recent months, they’ve introduced a new product -- their first since launching -- and are rolling it out gradually in a series of tests. It’s called Bigs & Littles. Jeff pulls out three bags of the new snack and spreads them across the table. There’s The Big Cheese, Cinnablast, and the surprisingly tasty Berry Chill. The bag of Cinnablast is passed around, and everyone grabs a handful. So far, Jeff assures her, sales of Pipcorn remain strong in the Whole Foods stores that also carry Bigs & Littles. Jen notes that the third-party “demo teams” -- merchandising companies hired to do in-store sampling -- have unanimously reported a rhapsodic response from children. Corcoran isn’t convinced. “I’m just going to say it: I suspect there’s no difference in the customer,” she tells them. “Your theory’s nice, but you need to test it.” Outside marketing companies don’t always provide the most reliable feedback, she says. “There’s no replacement for your own eyes and ears. This is the birth of your product. It’s scary to trust anybody except the mother.” Her suggestion? Cut out the middleman and spend a day personally handing out samples of both lines in a local store, interfacing directly with customers. Jeff’s horn-rims, Jen’s frizzy mane -- that’s the brand. The Martins wince a bit. “I’m going to Minneapolis for a Target meeting on Monday,” Jeff says cheerily. They laugh, but Corcoran is serious, noting that she’ll be bringing her own small office staff on an extravagant jaunt to the Yucatan in a little more than a month. “We’re going to piss away a lot of money,” she says, vowing to spend every penny of an upcoming speaking fee. (She typically bills $70,000 per appearance.) “We’re not taking anything home. And I know this team is going to work harder because I’m taking them on a boondoggle. It’s a natural response. It makes the work from now to that point more joyful. And if you’re more joyful, the customer feels that. You make more sales. Everything else happens.” She addresses the Martins directly. “I can’t tell you what to do,” she says, “but I would like to encourage you before the week is out to put a real vacation in your book, so you can plan against it.” Oh, totally, the Martins say. They’re absolutely going to think about that. Corcoran had given them some good notes on their website, though, which they fully intended to implement. As for the kooky bag-hats? Yeah, maybe not. Still, they both insisted, the meeting had been helpful. It wasn’t the specific bits of advice they prized but the strategic vision behind Corcoran’s ideas, the enthusiasm she brings to the process and the way she makes them examine their assumptions and think things through. “Sometimes with her ideas, we just kind of take the mood or the spirit behind it and work with that,” Jen says. In the end, that’s what Corcoran is hoping for. She has often said that while she loves offering advice, the entrepreneurs who largely ignore her suggestions and trust their own instincts tend to be the ones who succeed in the end. But there is one piece of advice on which Corcoran is utterly resolute. No product Pipsnacks will ever produce will be as important to its long-term success as the legend of its founding and the personality of its founders; those two things are invaluable, and they must be hammered home at every opportunity.